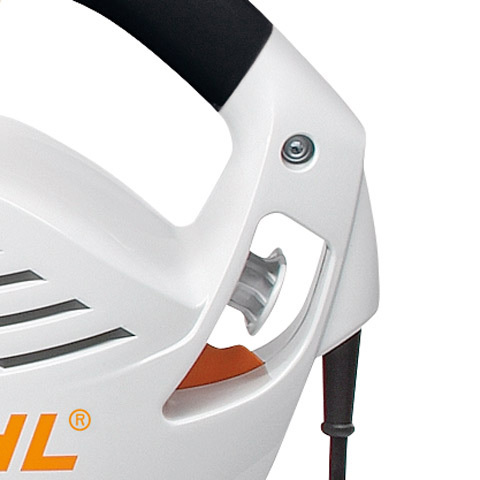 SHE 71 - Hand held blower and vacuum unit in one: the multi-functional electric blower. 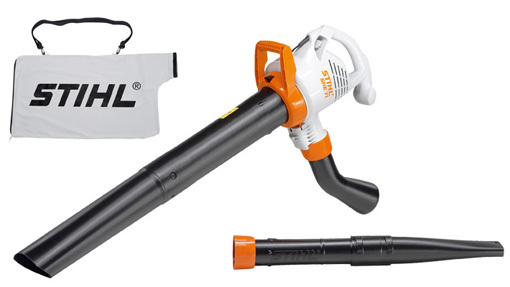 Hand held blower and vacuum unit in one: the multi-functional electric blower. The SHE 71 is a low noise, electric vacuum shredder, allowing you the versatility of blowing, collecting and shredding material in one machine. Despite its light weight the SHE 71 blower unit operates powerfully but quietly. Attach the Vac-Kit and the integrated turbo wheel shreds dry leaves, while the catcher bag serves as an effective dust filter. In this mode debris is easily removed from even the smallest cracks. 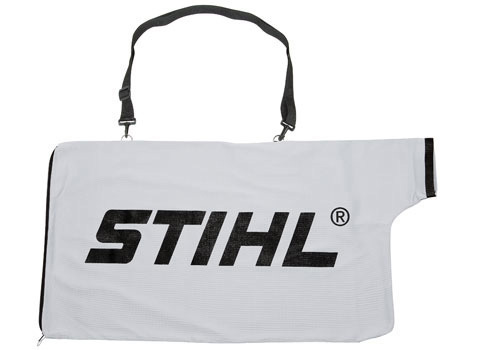 Emptying is performed easily using the bottom zip.